There is no argument that all asphalt pavements crack. Cracks in asphalt are inevitable. 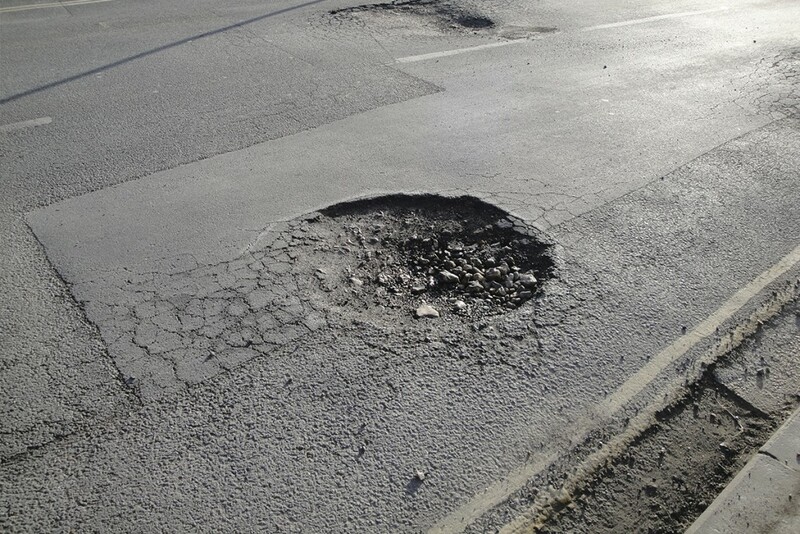 Neglect and lack of proper maintenance of parking areas or drive ways lead to accelerated cracking and/or potholing, further reducing the serviceability of the pavement. Once cracks develop, water easily penetrates into the base and sub-base of the pavement and damages the structural integrity of the aggregate materials. Pavement joint and crack sealants are designed to protect pavement by minimizing water infiltration and by preventing the accumulation of debris. 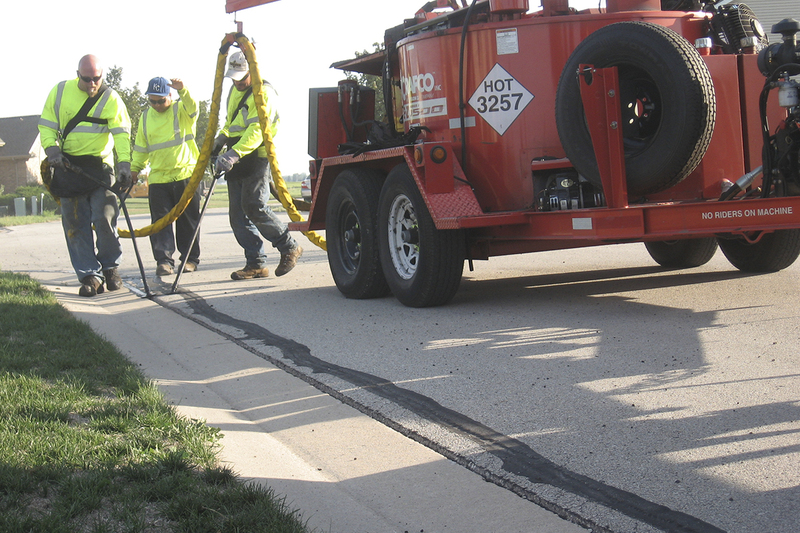 It has been demonstrated and documented and is generally accepted that sealing the cracks in flexible pavements is the best preventative maintenance procedure for adding many years to the life of the pavement, especially when used in conjunctions with other preventive maintenance techniques. Crack sealing is an important procedure that must be addressed yearly. Crack sealing is one of the most cost-effective ways to prolong the pavement life, adding between 3 and 8 years when done properly. How Is The Pavement Deteriorated? In pavement where the cracks have not been sealed, there are many routes to the base and sub-base courses. Water will penetrate through cracks that are over 1/8 in. wide because water will flow by gravity into the surface and then into the base course. Surface water is also pushed into cracks through the pumping action of traffic when vehicles pass over allowing water to penetrate the pavement and damage the base courses. Once water enters the base, it softens and deteriorates the base materials, causing extensive and expensive damage to the pavement. Crack sealing, like any other maintenance project, has to be done with proper economic justification, using proper materials and procedures. It is an established pavement preservation technology, which is steadily evolving to meet the challenges of modern age traffic requirements, utilizing state-of-the-art materials and tools. From an LCCA standpoint, crack sealing is highly cost effective and much less expensive than other preventive procedures. For example, seal coating averages 3 to 14 times more than crack sealing and an asphalt overlay costs 8 to 26 times more than crack sealing. Furthermore, it was also reported crack sealing slows the reappearance of reflective cracks in the new surface. Pavement Magazine February 2004 – Girish Dubey is president of STAR Inc., Columbus, OH. Patching – What Is R&R? Remove and Replace is commonly referred to as R&R. It is simply the process of cutting out damaged asphalt and replacing it with new asphalt. 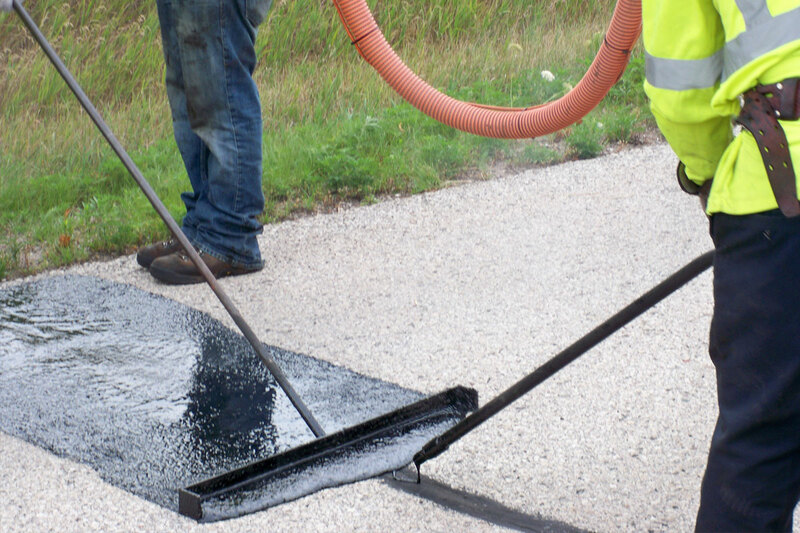 Asphalt pavements are made up of approximately 94% sand and rock with 3 – 6% asphalt oil. When new asphalt is installed, it has good elasticity and is still somewhat pliable allowing it to expand and contract. Natural elements causing damage to asphalt are not limited to moisture from snow and rain, but include ultra violet rays from the sun. As asphalt ages and is exposed to the elements it loses its oils and thus its ability to expand and contract. The loss of essential oils contributes to asphalt erosion such as cracking, alligatored areas and pot holes that need to be repaired by R&R. This process of asphalt erosion is slowed down dramatically by implementing a complete asphalt maintenance program. Most parking areas are constructed with asphalt – a removable and easily repairable product. As with any material, wear and tear occurs throughout its life cycle. Asphalt is unique in its ability to be easily patched to extend the overall quality of an entire lot. There are several reasons why asphalt fails beyond normal wear and tear. The important thing to remember is that asphalt can be removed and replaced and should be repaired before further damage can occur. Isolate liability by acting quickly and ultimately you will save money.